I love a good grilled cheese sandwich and after many years of trying different ones, this has to be my favourite. 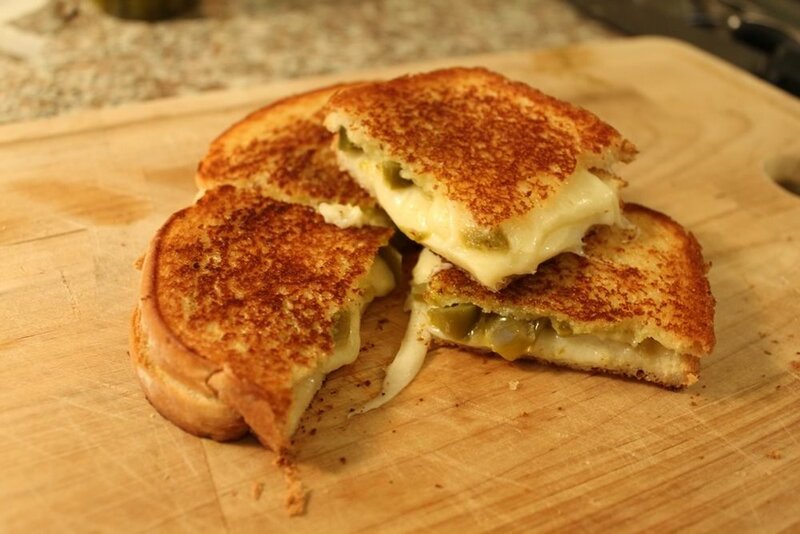 The jalapeños add a nice kick and the sweet nuttiness of the gruyere compliments it so well. Of course my daughter wouldn’t agree and so I make her grilled cheese with plenty of sharp cheddar, each to their own! Heat a heavy based frying pan to a low/ medium heat. Place the other piece of buttered bread on top, again with the buttered side on the outside. Or until golden brown all over and the cheese has melted.